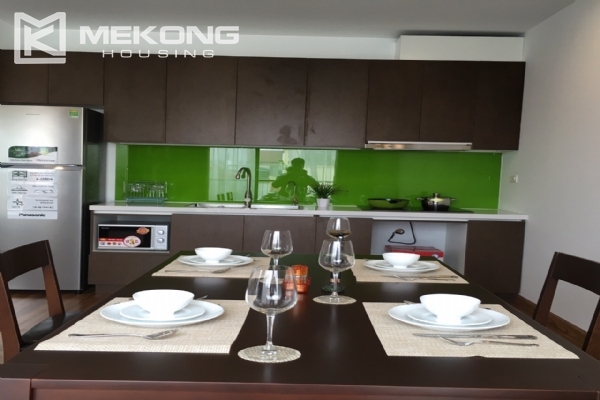 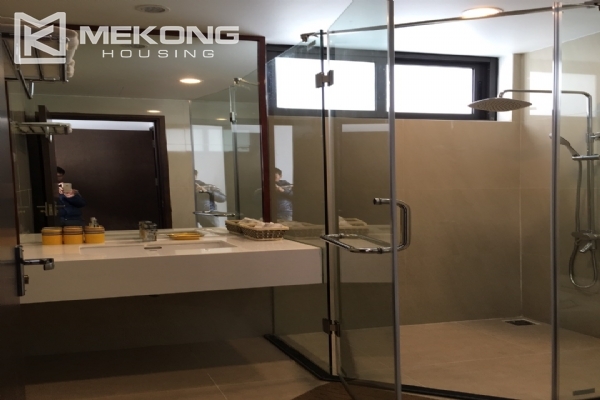 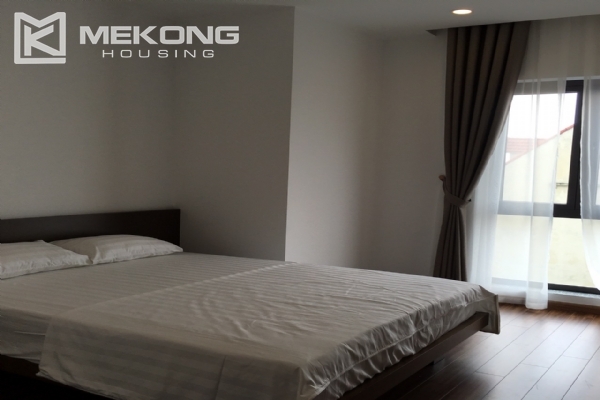 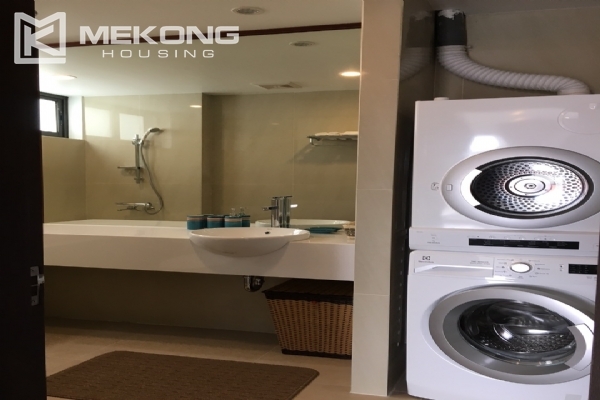 New serviced apartment with 2 bedrooms for rent in To Ngoc Van street, Tay Ho district, Hanoi. 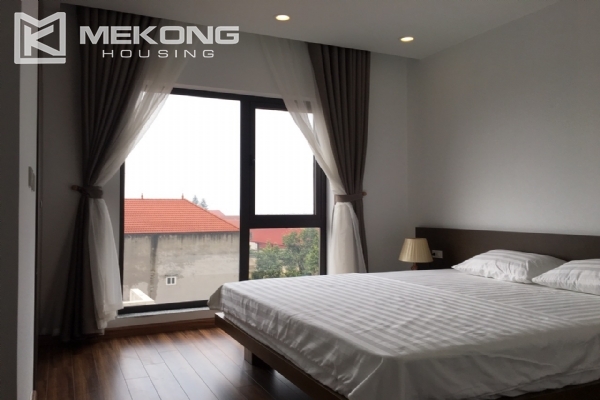 It is close to shops, cafes, restaurants, supermarket, etc… Easy to access other areas of Hanoi. 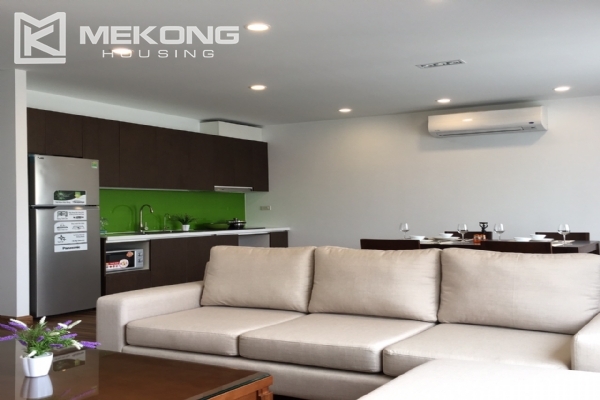 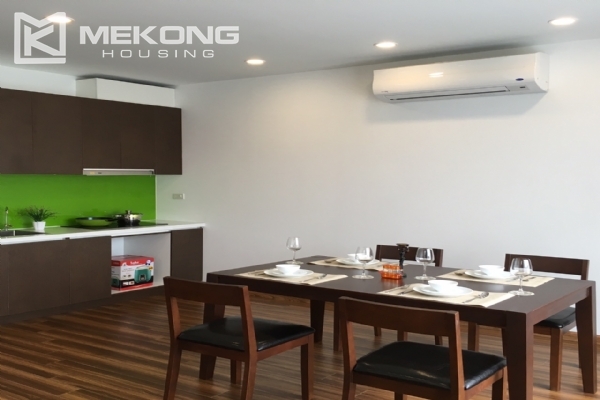 Total living area of the apartment is 1200m2, composed of 2 bedrooms, 2 bathrooms with modern toilet amenities, a well equipped kitchen and a nice living room combined with dining area.